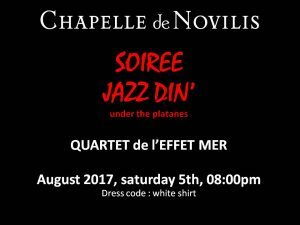 Enjoy a nice jazz evening at CHAPELLE de NOVILIS, producer of fine and elegant organic wines, IGP Coteaux d’Ensérune, Hérault, Languedoc. 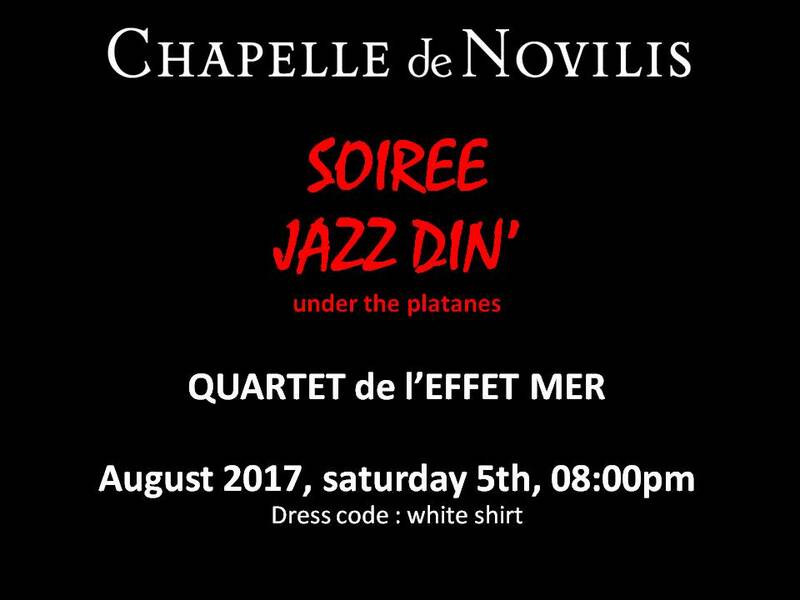 4 musicians of high level, accustomed to the Mel Rose Café in Agde, high place of jazz in the Hérault, will make you hear jazz as you like. This evening under the platanes and the celestial summer vault promises to be a moment of pure pleasure: good jazz, good wine, good meal. 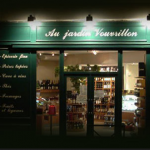 On sale on site: CHAPELLE de NOVILIS wines and food trucks for dishes according to the wines.